Mobile learning is a multi-beneficial delivery of learning that is utilized by nearly every mid- to large-size company. 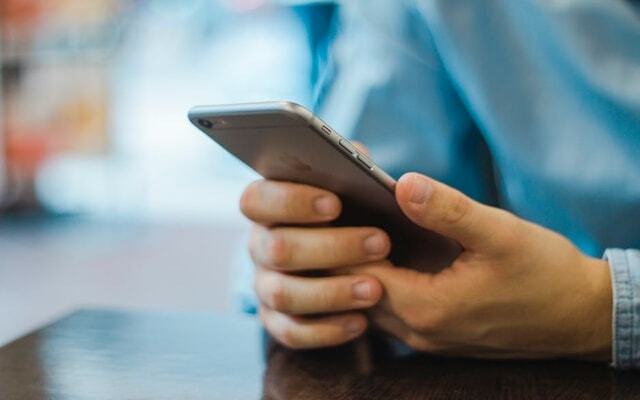 This is not the first time we’ve mentioned the benefits of mobile learning, and it probably won’t be the last since more and more of mLearning’s benefits are being discovered as it is further developed. We think the benefits of mobile learning are so rich and vital to any organization that they are worth revisiting on occasion. Mobile learning refers to the delivery of learning through a personal mobile device (tablet, smartphone, laptop, mp3 player, etc.) as opposed to a desktop computer. mLearning is on-the-go learning; learners can literally interact it anywhere they have Internet access and a mobile device. BYOD is a trend as popular with employees as it is with employers, and for that reason it is most likely a trend that’s here to stay. There are risks associated with BYOD, such as employees abusing their mobile device privileges and company security being breached. However, if employers set up safeguards like mobile device management (MDM) apps, those risks can be controlled. In general, BYOD is a great policy for any company to implement. It is convenient – Mobile learning has a defining characteristic, and it is ‘convenient’. No other delivery of learning offers individuals the opportunity to access training materials 24/7, from any location and any device with a Web browser and Internet access. mLearning has completely revolutionized corporate learning, bringing it out of the boardroom and into learners’ living rooms (or anywhere else they prefer to learn). Because of this, employees/learners love mobile learning and understandably tend to prefer it to other types of training. It allows for quick knowledge sharing – A major benefit of mobile learning is that it makes lightening-fast knowledge sharing possible and promotes instant feedback from learners. This is not only engaging for learners, but also helpful to the overall learning process. Knowledge sharing via mobile device isn’t just handy; it is also critical to the development of corporate training. The International Journal of Education and Information Technologies claimed, “The knowledge sharing of technology innovation on mobile learning is the main developmental force in the 21st century knowledge-based economy.” Over the past couple of decades, the knowledge sharing of technology innovation on mobile learning has also been a huge developmental force in the realm of corporate learning and training. Mobile devices make massive amounts of knowledge sharing easy, encouraging the upward development of corporate learning. It is informal yet effective – Did you know that up to 90 percent of what humans learn is learned informally? In other words, we learn best by being shown what to do and then copying what we see, not merely being told what to do. Maybe this is why overly formal learning programs fail. There is certainly a place for formal learning in the corporate world. But, formal learning tends to be most effective when it is blended with a healthy amount of informal learning. With mobile learning, employees can instantly share information with their coworkers and fellow learners, and often are enabled to use social learning tools like realtime chat and video conferencing. The tools encourage informal learning and promote knowledge retention. A learning management system (LMS) is a computer program that helps employers train learners/employees. “An LMS provides the tools employers need to write training content. It also makes it possible to distribute it and to track learners’ progress. This is all done online. It is as simple as that,” we wrote in What Is an LMS?. An LMS has several features that streamline the training process -- mobile learning is one of them. To get a taste of what it’s like to implement an LMS that prioritizes mobile learning, request a free demo of the LMS TOPYX today.